A comprehensive profile of Zeeshan Malik, an upcoming young opener from Chakwal who excelled for Pakistan Under-19s at the 2016 Under-19 World Cup. Whilst I was born in Chakwal, my family shifted to Rawalpindi when I was very young. That is where I started to play tape-ball cricket. Based on my performances in this format, a friend of mine asked me to join a local club to play proper hard-ball cricket so I joined the Greenland Cricket Club when I was 15 years of age and the love for cricket has not stopped since. I trialled for the regional Under-16s for Rawalpindi in 2012 and was selected and in that year, I was the third-highest scorer in the Pepsi PCB Cricket Stars Under-16 tournament. I was also the Man-of-the-Match in the final of the tournament where I scored 85 runs and also took 2 wickets. I suppose, based on that I was named in the list of 25 players who got a call from the National Academy for further training where I was trained by Ijaz Ahmed and Mansoor Rana. As a result of my hard work at the Under-16 level and subsequent success in inter-district Under-19 tournaments, I was moved on to the regional Under-19s where I played for Rawalpindi region. I made an immediate impact there by scoring 99 in the first game and 208 in the second game that I played. It is this type of performance which got me a spot in the Pakistan Under-17 squad bound for England. This tour took place in August 2014, and consisted of three One Day matches and one Three-Day match. Once again, I did really well with a fifty in the second match and then did extremely well with 158 in the second innings in the three-day game. It started with being given the opportunity to play against Afghanistan Under-19s in a three match series held in Lahore. I scored fifty in the second game which we won by 7 wickets. My next assignment was with the Pakistan Under-19 squad to Kenya where I impressed many who had not seen me play before. I played four One Day matches on this tour and scored a brilliant 154 in the second game and remained not out on 76 in the fourth match. For any player, and especially a young batsman like myself, playing in such a tournament was the highlight of my career. It was a long and arduous route for me to get to this stage as I went through the regional Under-19 stage and also attended camps before being selected to represent Pakistan for this competition. In fact, in the build-up to this tournament, I played exceptionally well in the regional Under-19 tournament where I completed three centuries in a row during the quarter-final, semi-final and final. Obviously, my doing well in the foreign tours before the Under-19 World Cup also helped in my selection. During the World Cup, I had the honour to captain the team on two occasions as our captain was injured. My batting was exceptional during that tournament as I scored 89* against Canada and 93 against England. I don’t bowl that often but depending on the team’s requirements and based upon the game situation, I have been asked to bowl off-spin. I did that on the Kenya tour and also in England but obviously, bowling is not the reason why I am in the team as we do have good bowlers who can do that job much better than me. I have always been an admirer of AB de Villiers amongst non-Pakistani batsmen but closer to home I really enjoy watching the batting of Mohammad Hafeez and Ahmed Shehzad. I make it a point to watch their batting whenever Pakistan are playing cricket. I played in the Rising Stars Cup organized by Lahore Qalandars in 2016 where I was captaining the Rawalpindi team. I scored a total of 171 runs in four games but strangely enough was not selected for the Lahore Qalandar's tour of Australia. But in a sense that disappointment opened doors for First-class cricket for me. I was called for trials for the Rawalpindi squad and made my First-class debut in October 2016. I have played four First-class games and put in reasonable performances but there is definitely room for improvement there. Unfortunately, I have been ignored for the Pakistan Cup tournament for the past two years and I can only hope this will change next year. Sabih is our region’s coach and was a great mentor to me during my Under-19 years. He has been instrumental in my development as he is involved in net practice and guides me on all aspects of my game. Since I have always been associated with the Rawalpindi region, Sabih Azhar has kept a keen eye on my development which is excellent for my progress as a player. My aim is to continue working hard and not let any disappointments bother me. At the moment, I am very pleased that our team PTV won the Patron’s Trophy Grade II tournament and have qualified to play First-class cricket for next year. I may play First-class on their behalf or may stay with Rawalpindi which is something I will need to think about and decide after consulting with Sabih Azhar. Last edited by MenInG; 6th May 2017 at 13:12. This is a wonderful addition to our Talent Spotter list. So much promise - one just hopes he gets a good look-in at some point. We seem to be good in trying out new bowlers but there is some hesitation for batsmen - wonder why? Anyways a determined young man - needs our support. Very good prospect. He's a future captain. If anything, I see shades of Ponting in his batting. Zeeshan don't do blunder like Sadaf Hussain where he preferred Rawalpindi for KRL on Sheikh's advice and by playing President Trophy before Qea even started Pakistan picked Rahat, Ehsan, Irfan & Tanveer for SA tour. Do keep in mind what that man did to him later. Ptv doesn't have renowned Openers so opt for PTV since Rwp will be out of tournament before PTV most probably and you will play handful of matches only. Zeeshan had this great platform PP given to him for an interview but his attitude is way off. Yes he played one of the best innings of WC for Pak against England but how come he can say that his performances were exceptional in WC when he failed in all innings except against Canada & England ? Similarly he himself states that he played excellent & brilliant innings against Kenya. No professional praises his own innings. Praise comes from others. Hafeez for some of his fine shots is fine as role model though not ideal but other role model is Shehzad. Quite poor. Probably his social media following makes him a brand for ZM to follow. I have been supporting Zeeshan Malik for his raw ability since early 2015 and raised voice for him. In one Inter district he had 4 tons the most amongst 30 odd districts while 2nd most was 2. So he has in him but his attitude is way off atm. Wother Shizzy and Hafeez as role models? I remember my brother-in-law speaking very highly of this guy when he was touring Kenya. Seems like a good prospect. Send him to Engalnd or Australia for five years and induct him straight away when he comes back. If he keeps playing our domestic he will regress like no tomorrow. Glad you're giving him good advice, work hard and don;t brag yourself and chose the right role models. Yes that is very important. A player can only realise his weak links and improve if he understands that out of 6 games he failed in 4 and performed in 2. If he thinks that he had a fantastic tour and he was exceptional than he cannot improve. Natural Ability is a must but there is no alternative to hardwork and following the right role models. He is going nowhere with Shizzy as role model. Averages 18.25 in FC and calls it "reasonable performance". Was inconsistent during the WC, and calls that "brilliant". Has Hafeez and Shehzad as role models. Three red flags already. And the cherry on top is that @Abdullah719 introduces him with the words "excelled for Pakistan Under-19s at the 2016 Under-19 World Cup"
Sorry, but we keep the intros short and to the point. 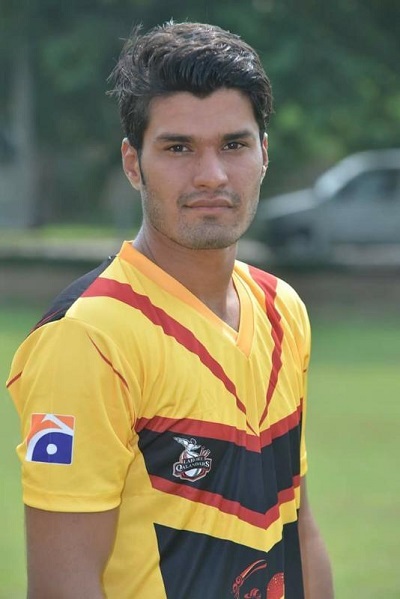 It was not feasible to write "A comprehensive profile of Zeeshan Malik, an upcoming young opener from Chakwal who hit two fifties and didn't make any big scores in the other three innings of the 2016 Under-19 World Cup". He was the third-highest scorer for Pakistan in the U19 World Cup with 225 runs (and he played one innings lesser than the top two scorers). Considering the fascination you have with statistics et al., his average was 56.25. Quite a good performance on the whole, I think. Do let me know how else you would write it and I will definitely keep Asfandyar's sensitivities in mind next time. Last edited by Abdullah719; 7th May 2017 at 04:37. Don't listen to him, you're doing a great job. And to answer your question, a simple "did well for Pakistan" would have sufficed. Excelled is what Hasan Mohsin did in the tournament. Regarding consistency, the sample size is really quite small. He actually hit around four hundreds in four consecutive regional U19 games before the U19 World Cup but a bigger worry is that he hasn't played much competitive cricket since the World Cup, besides a few FC matches. I don't think he has been hyped up too much. In fact, there's only a few around here that rate him. I was also a bit disappointed at the Shehzad/Hafeez comment - but hopefully he can see the positives and negatives of their batting and only looks to emulate the good parts! The second shot looks a bit like a right-handed version of Sharjeel's leg-side flick. 5 years to do what? You think teams in Australia and England are ready to allow Pakistani players to go there and play for 5 years just so they can get better? Played in the Islamabad United Twin Cities Takra tournament and made two hundreds while captaining the Allahabad Auliyas side. Last edited by Abdullah719; 18th September 2017 at 01:35. United are probably going to Pick him as their emerging player.When I first saw him play for Pak U-19 in 2015 I was very impressed by his stroke play.A PSL 2018 contract is surely going to help players like him, Sahibzada Farhan and Shaheenshah.Lets hope they don't disappoint us. 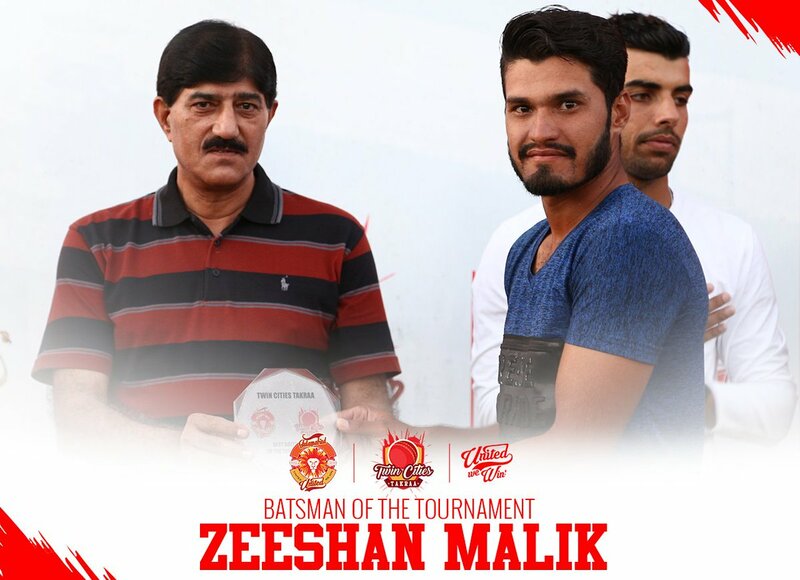 Was very happy to see Zeeshan Malik performing in this tournament, which is why I posted it. I had a few questions about him when I first read this talent spotter (the fact that he was praising his own performances, his role models etc) but I am happy to see he is now letting his bat do the talking. He also scored an unbeaten 40* odd in this tournament. I hope the likes of Zeeshan Malik, Ahsan Ali, Sahibzada Farhan, Saud Shakeel and so on secure PSL contracts. That's even before we consider the likes of Saif Badar, Hussain Talat, Hasan Mohsin who already have PSL contracts. All in all, there is plenty of batting talent- it just needs nurturing and opportunities to perform. Bowling has always been a strength. I would be very surprised if Shaheen Shah didn't get a PSL contract. (iii) the not-outs: it shows he is someone who finishes the job. Points to someone who values his wicket and doesn't throw it away after reaching personal milestones. A lot depends on his attitude, but we can only hope this "hunger" for batting stays with him during his career. They say every cloud has a silver lining. Losing Sharjeel and co. opens up spaces in IU's team for young, upcoming Pakistani batsmen. The likes of Zeeshan Malik etc. need to make the most of this opportunity. You really aren't taking any prisoners these days are you? I am confident IU won't repeat that mistake again. I hate the fact Rafatullah was selected last year, but I do sort of understand why it happened. Having lost three big players midway through a tournament, I think they were playing it safe and picking someone who had a track record. Whilst with PSL 2 they had to throw out their plans and start afresh midway though a tournament, for PSL 3 they have a whole year to plan. We've already seen investment in the grassroots with this TCT initiative. Plus, for PSL 3 Shadab won't be classed as an emerging player which opens up another space for a young talent regardless. All in all, Abdullah bhai you have every reason to smile. He's a true pitch player. Very good on his shoulders. If he breaks through to the national team, he's a future captain. Last edited by Abdullah719; 21st September 2017 at 21:03. Hopefully, AB is his role model in batting, Hafeez in off spin bowling and Shehzad in looks. If that is the case then I am all good. Not good role models up there. Good stuff but shouldn’t he be playing the QeA instead ? @Abdullah719 can we get a video pls ? He’s 100% sure to be selected for the PSL now. Competition in this tourny is better than at IU’s tourny. I was thinking the same thing. Maybe he's injured or possibly the broadcast is just wrong with the order. Zeeshan's other knocks in the tournament. Pata nahi uncles sa kab jaan chotay gi. Thanks man. He strikes the ball quite hard. Plays like Kohli and has a very good cricketing brain. Should never play in UAE, particularly at Abu Dhabi - he is a good wicket batsman, where ball comes at pace & bounce. Very good at hitting through the line from side on position (uses shoulders for power, rather than bottom hand, and guides the shot from top hand) - he won't pass 20 on the current Abu Dhabi wicket, may be not even once in 5 attempts. Probably, his best wicket is Eden or Bangalore or Adelaide. His knock yesterday in the semi. Was playing so well until he got out, going by his reaction he knew that too. Looked unstoppable up until his dismissal, so he is right to be annoyed with himself. Shows the right attitude too. I definitely rate this knock higher than the 74* he scored earlier on in the tournament. This is why cricket can't just be played on spreadsheets. Maza agya. Hoping to see him in a PSL team soon. Should be playing Quaid e Azam trophy. The 74* he scored earlier in the tournament was scratchy but since then he looked a class apart from everyone else. He is signed with Pindi in QeA trophy. thanks then why isnt he playing QeA trophy? "So happy to see him continuing his good form from IU's tournament and putting in consistent performances. The only thing I am not sure about is the fact he is playing this tournament ahead of playing for Rawalpindi in the QeA. Obviously he is trying to improve his chances of getting picked up in the PSL which is a good move, but to be honest I think he already did that through IU's tournament and from memory he was one of the top scorers in last year's edition of this Rising Stars tournament. Playing some FC cricket would be a good for his development. By contrast, it looks as though Hasan Raza (the one from Kashmir) has chosen to play for KRL in the QeA rather than play in this tournament- only time will tell who made the right call." Last edited by mak36; 8th October 2017 at 07:01. This raises an interesting question: assuming he is selected to go on the LQ tour of Australia, should he go or should he prioritise QeA? I think he should prioritize first class. Would make IU team anyway hopefully? And even if he does well in Asutralia there are slim chances of him being selected in Qalandars squad and then in playing X1. Kids like Gohar are waiting for a chance for 2 years now. Looks good... hoping to see him partnering Fakhar in the 2019 WC. What is most likely to happen is we may have Shehzad and nepotistic Imam as the backup opener. FC experience is more important although Pindi is a batman's graveyard. I think he will get more opportunities at IU than he would at LQ, but I don't mind where he goes as long as he gets regular game time. IU have a particular need for batsmen after losing Sharjeel and co. plus they have 1 emerging player space to fill after Shadab's promotion. He's the closest to being international ready out of the young bats. Won't be surprised to see him selected if he racks em up this season. Should be selected for PSL for sure with the performances he's putting in lower tournaments. @Chief Destroyer mujhay yeh Shehzad jessa player lagta hay. Both Malik and Farhan should be prepared for WC19. Bench strength is good. Last edited by mak36; 12th October 2017 at 08:47. The standard of bowling is really poor , lets see how he does against better bowlers. I thought he would be a guaranteed pick given the mountain of runs he's scored. Unlucky but still has time on his side. I've heard a lot about him, and some of the shots were breath taking. Obviously, that means nothing if he doesn't have performances to back all the hype. He had a pretty average U19 record (had a good world cup though), and his entry into the next level hasn't been impressive either. @Chief Destroyer hyping him up is another red mark on his score sheet. I hope he overcomes all these hurdles to walk the talk. All the best to the youngsta beauty! It's beyond a joke he hasn't been selected. PSL is 3-4 months away, so hopefully there is still a chance he can be selected. He is the most stylish batsman I've seen from the recent past from Pak. Disappointing that no team picked him at the drafts. Too much batting talent in Pakistan for him to play PSL or get near the national team :p.
There will come a day when a PSL side will “discover” him. Why aren't Rawalpindi playing him in QeA Trophy? He's not going to learn anything warming the bench. He'll be better off moving at this rate. Rawalpindi repeating this stupidity in the QeA One Day Cup now. This is what happens when you don't have merit based selection. No wonder they have suffered heavy defeats (and batting collapses) so far this season. The sooner he moves the better.